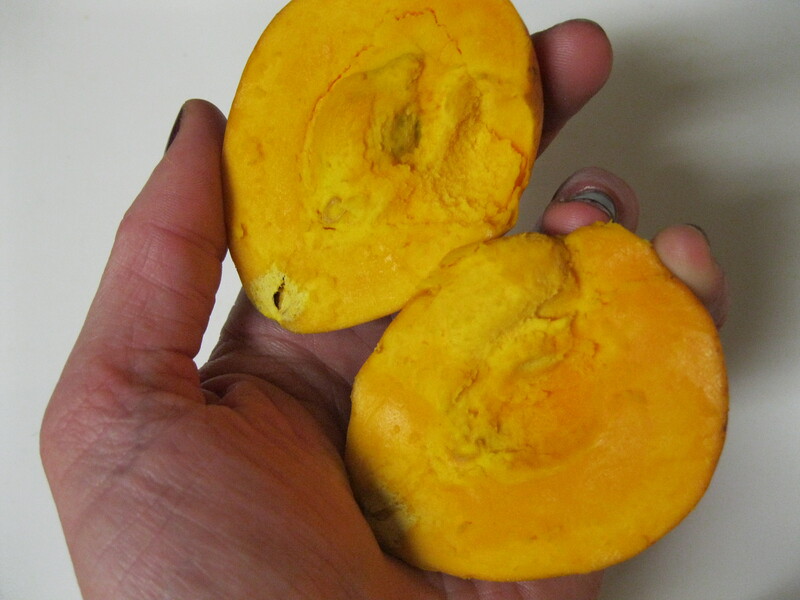 I know why egg fruit is called egg fruit: the ripe fruit has the texture and appearance of a hard boiled egg yolks. It had one seed in the middle and was dry in texture. They taste like a cross between banana and sweet potato with a touch of vanilla. It might sound weird but I’d buy it again. I suspect it would make an amazing vegan flan. 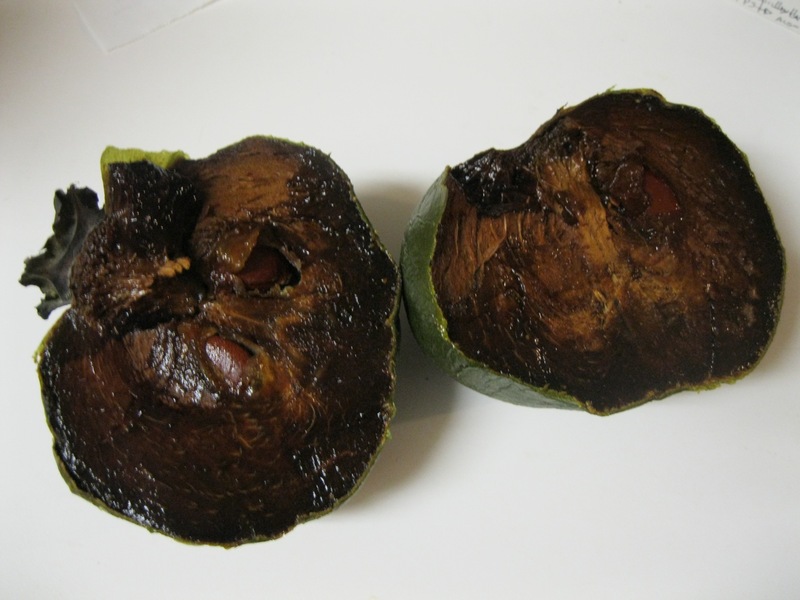 Now on to the black sapote, also called “chocolate fruit”. I was told to eat the fruit when it started to get noticeably soft and wrinkly. The pulp was smooth and had 8 hard brown seeds reminiscent of lima beans. This bad boy was the color, texture and flavor of really good chocolate pudding. I bought 5 more this weekend at my farmer’s market to take with me to work for lunch this week. I’m looking forward to having this one made into custard or just chilled, just like the snack-packs of my youth. I’m really glad I decided to branch out and try both of these.